Have you ever wanted to experience complete freedom? Maybe you wanted to get away from your daily life to reinvent, revitalise and rejuvenate yourself. Sojourn Homes & Cottages in Manali can show you how. 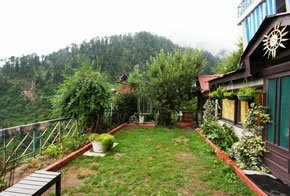 Located on a stunning landscape and situated 8000 feet above sea level, Sojourn Homes & Cottages, Manali welcomes you surreal serenity, breathtaking beauty and unparalleled privacy, just 5 km away (15 minutes drive) from the town. 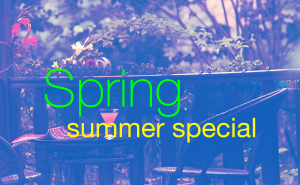 Summer Spring Special. Valid during 15th April – 14th July. Best destination to celebrate Summer Spring Special for families and couples. Book your holiday now! Valid from 15th April – 14th July. The Sojourn property is widely spread over the hilltop, surrounded by nature’s best gifts including seasonal fruit orchards, snow-crowned mountains, tree-forest, water streams, quiet zones, birds, kitchen gardens and a 360º panoramic landscape. We have segregated our property in 3 categories: cottages, apartments and a boutique suite. Please go ahead and explore them all, one-by-one, by clicking on the images below. The founders of Sojourn understand their guests so well, that they have specifically designed packages for every season and packages throughout the year. And the best part is they are available for everyone. Family packages for small families, extended families, newly wed couples visiting for their honeymoon, artists like writers, painters, poets who plan to stay for long. Also, groups of students, employees, teachers, or friends, who are planning to visit Manali, we have special packages for them as well. No matter how many people you bring along, Sojourn Homes and Cottages is the place to be. Check out the new amenities that we keep upgrading at Sojourn every year. 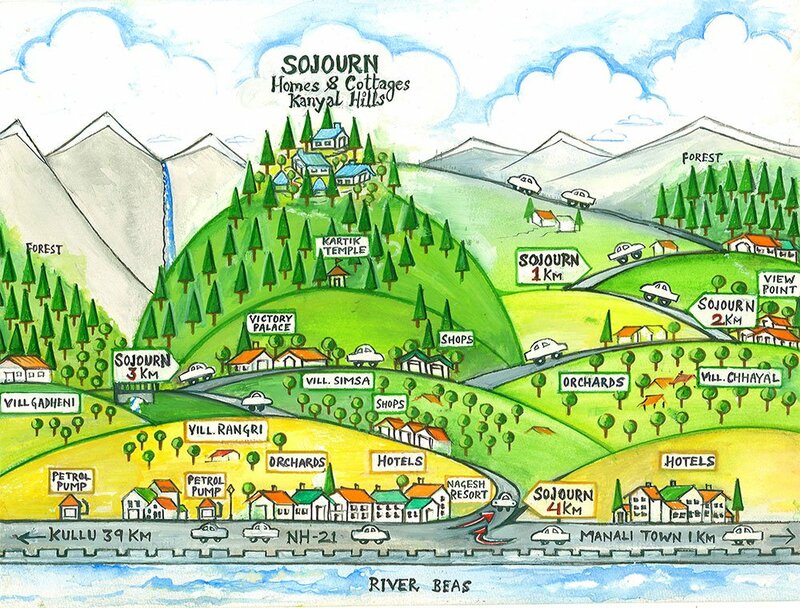 Please Note: All photographs of Sojourn Homes and Cottages are original.